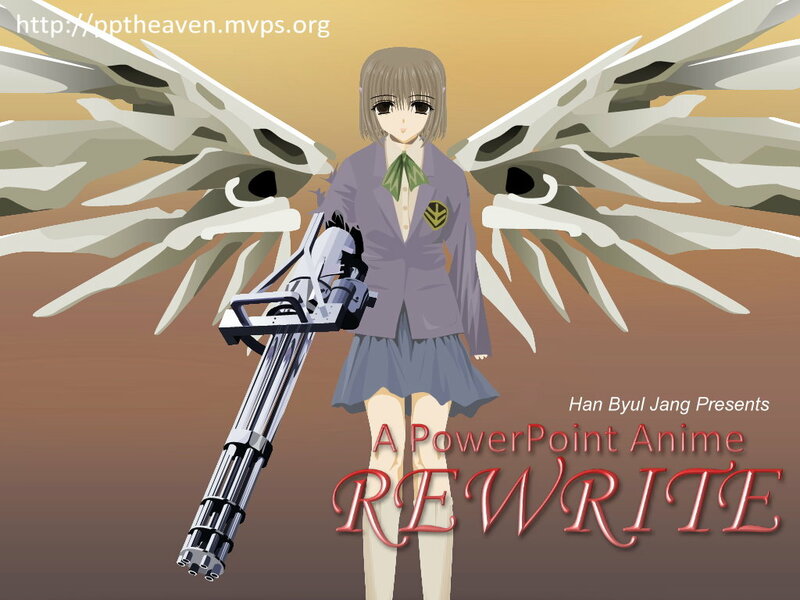 Rewrite is a PowerPoint Anime based on the future world, where the robotic science has evolved beyond humans' imagination. its respective authors of this PowerPoint Anime, Han Byul Jang (Zzangdol), described the future world coming under the reign of Robots. 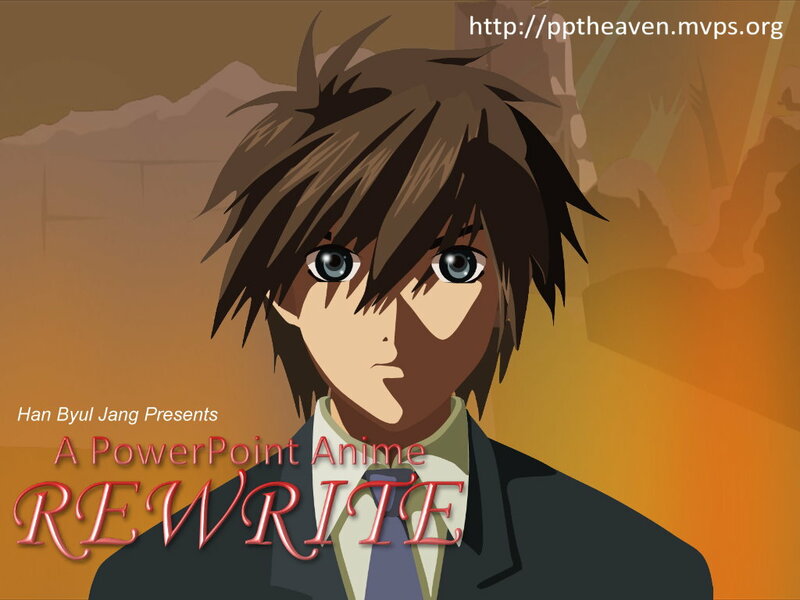 Rewrite is completely drawn and animated in PowerPoint. It is available in 3 languages: English, Traditional Chinese and Korean (Original version). Note: For better quality and performance, you MUST enable the “Use Hardware Graphics Acceleration” feature (Click Slide Show > Set Up Show. Put a checkmark to "Use Hardware Graphics Acceleration", Click Ok.). Tips: Rewrite runs in a Slide Show immediately when opened. To see how Rewrite is created, you can change it back to a normal presentation by amending the .pps extension to .ppt extension. Alternately, open PowerPoint, click File > Open, and look for Rewrite. Rewrite is a Christmas Eve special. Produced by Han Byul Jang (Zzangdol) and subtitle translated by Francis Lee. Fonts are embedded in this version. The chinese version of Rewrite. Produced by Han Byul Jang (Zzangdol) and subtitle translated by Shawn Toh. The korean version of Rewrite. Produced and subtitle translated by Han Byul Jang (Zzangdol). This is the original version created by Zzangdol. No revisions have been made. This wallpaper features the protagonist for Rewrite. He who lost his wife and baby, and volunteered to fight against the robots. The wallpaper is made for 1024 x 768 resolution. This wallpaper features the robot for Rewrite. The wallpaper is made for 1024 x 768 resolution.